If the quirks of this place can fascinate people yet, I bet its sui generis architecture must have stirred curiosity back in 2000 when it first opened. Despite no colonial history with France, its influence very much exists in Bukit Tinggi, a hill located 48 km north of Kuala Lumpur. 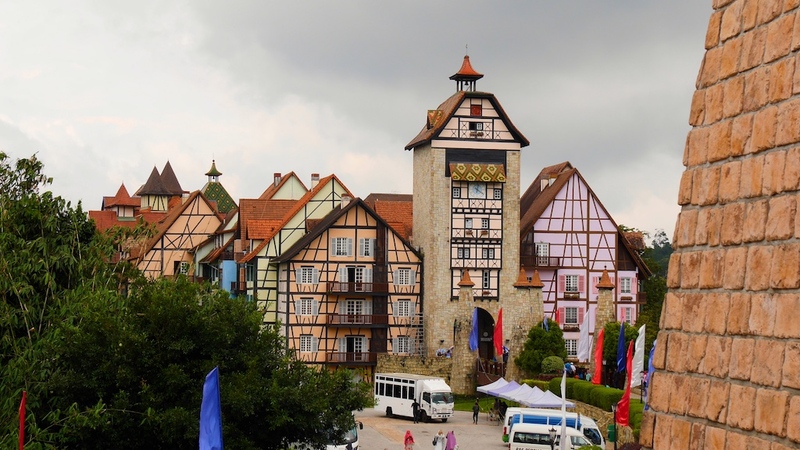 Colmar Tropicale, a themed resort, celebrates the eponymous town in north-eastern France through its half-timbered buildings and pastel hues. At times, themed attractions can come across as tawdry, but I find the idea of emulating Colmar unusually creative. Whoever came up with the notion, must have been besotted with this town and replicated its charisma in Malaysia! One beautiful Saturday, I kept my prejudice aside and decided to greet Bonjour to Colmar’s replica tucked away neatly in Pahang. Treading uphill through the winding narrow road, we reached the ticket checkpoint in less than an hour from Kuala Lumpur. Bukit Tinggi doesn’t boast of scaling elevation, but it is good enough for the mild weather. Upon arrival, my eyes first set on a medieval-style manor with brick walls and turret roofs, just like an illustration in a fairytale storybook. The perfectly manicured garden and cast-iron black lanterns alongside the street completed the French setting. Don’t mistake it with the French Village as yet, as I did; The Chateau Resort is a wellness resort inspired by the 12th-century medieval Haut-Koenigsbourg castle in Alsace region of France. The triangular rooftops peeking out from its periphery showed me the way to the village. At its entrance, a tall clock tower led me to the street of gaily painted half-timbered buildings accentuated by bright French windows. The cobbled street, which is not a typical sight in Malaysia entirely sets the mood of this place. Each of these buildings accommodates the guest rooms. Spend a night to make the most out of the French milieu or, simply walk in this idyllic street, a joy in itself. I was taking it all in when a whiff of freshly baked bread distracted me and the next moment I recall; we were scouring for a hearty lunch. There are 4-5 restaurants along the street to dine-in. Of course, the French food could not have been missed out as whatever the world knows about the food today; it is because of French who are versed in bringing out complex flavours from simple combinations. La Cigogne Restaurant presents the fine-dining experience through its extravagant French Haute cuisine including Choucroute Garnie, the most notable recipe from the Alsace region where Colmar lies. Some places serve Malaysian and Chinese delights to cater to the local tourists. Will it be ironic to say I prefer Italian! Finally settled at La Flamme, a sidewalk deli serving pasta and wood-fired pizza. We took our time over lunch, chatting lightly, sipping on fresh juices and in between telling each other it is not a bad place at all. Taking advantage of the good weather, I paid a fleeting visit to the Japanese village located within the premises where one can partake in the traditional tea ceremony in a Kimono (I saved this for the authentic experience); and the Botanical Garden which is nothing exceptional and recommended if you are up for a walk. We decided to end our “French” weekend at La Boulangerie with a cup of cappuccino and a classic croissant. The bakery is not at its French best but purely augments its essence. Nevertheless, wait until dusk when the lights lit up, a whimsical scene so identical at a European town square. 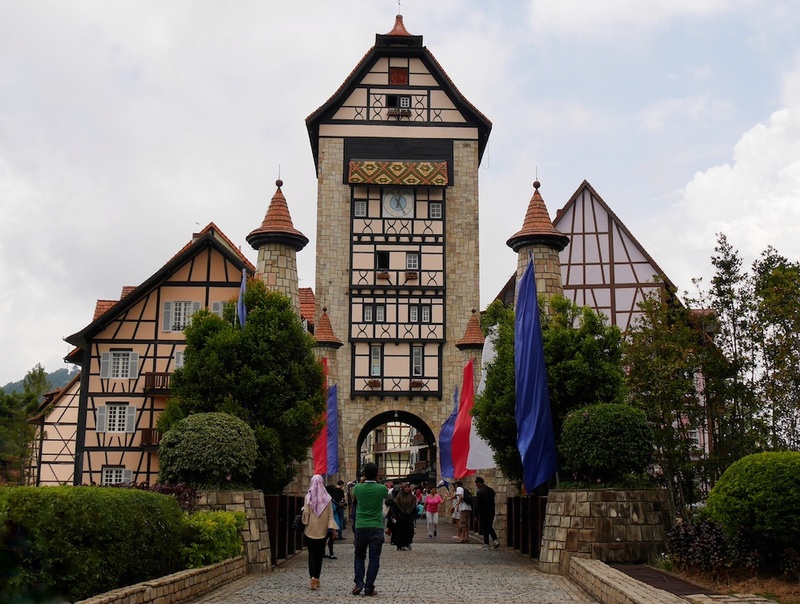 Bukit Tinggi makes a decent side-trip along with Genting Highlands, famed for its casino and cable car ride. 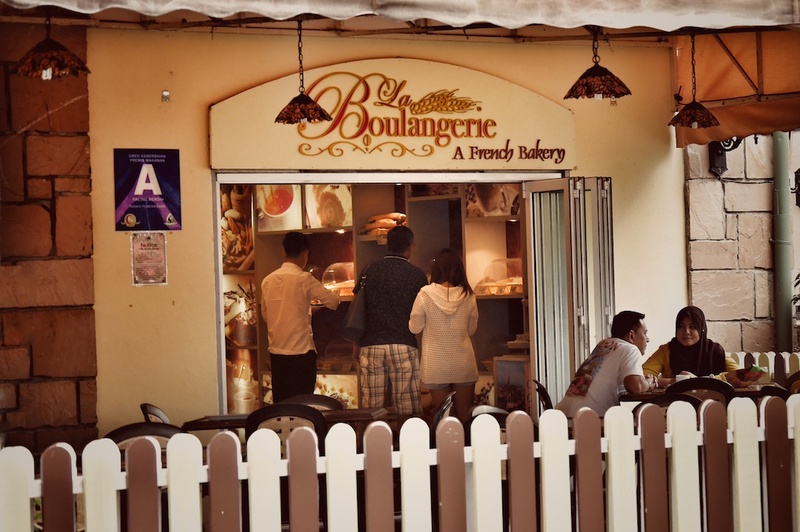 I am sure the place has many cracks to tick off a Francophile, but for anyone who has never been to France, Malaysia’s French village introduces it well. 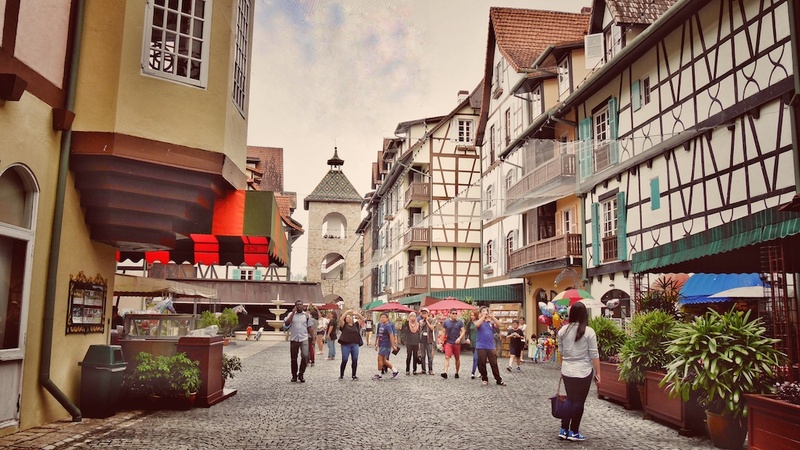 I say visit it for its oddity, where else will you find Colmar outside France? 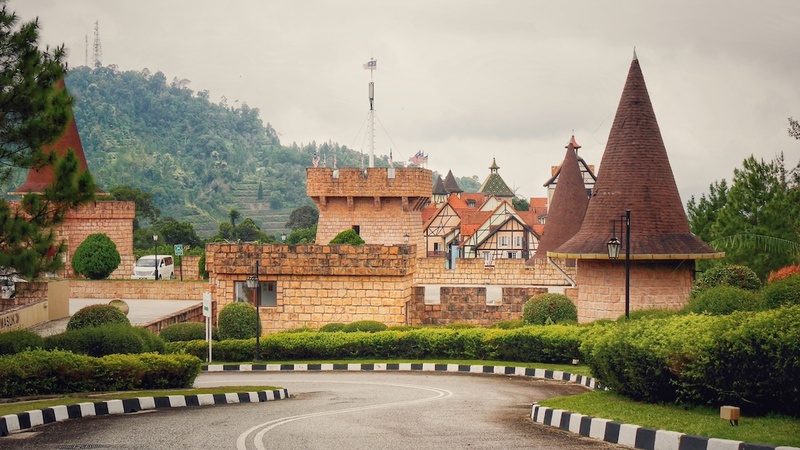 While driving on your own is the best way to reach Bukit Tinggi, you can also take a daily shuttle from Berjaya Times Square runs at 10.00am, 1 pm and 5 pm; costs RM35 pp one way. Alternatively, a private taxi can be hired for the day. It costs RM15 per person to enter this territory. There is no separate charge for each attraction.